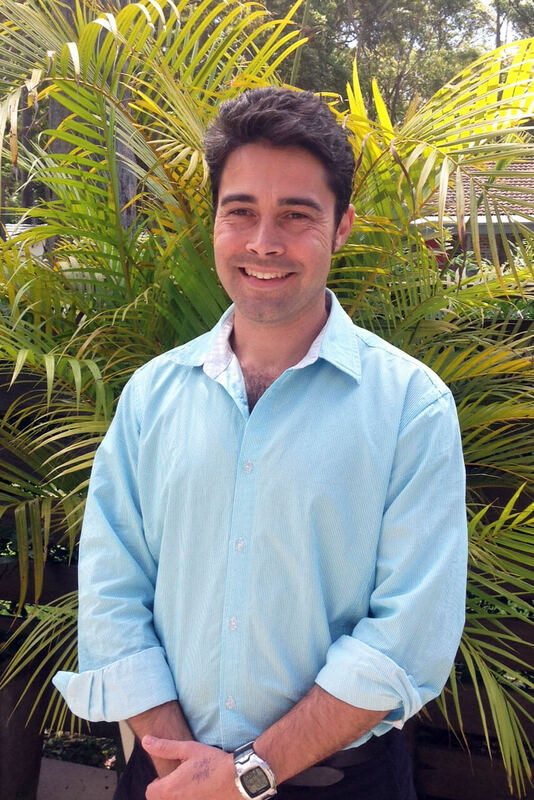 Hi I’m Warren Martin, (B Physiotherapy 2001) a Generalist Physiotherapist, in private practice, hospitals, sports, aged care and community clinics since 2001. My own interests are surfing, swimming, running, surfboat rowing, yoga, bushwalking and going to the gym to be fit for life. I also have a young family and enjoy cooking and gardening at home. The main clinic is conveniently located in the Pacific Palms Medical Centre with doctors from FTMC. Off site Gym and Rehabilitation consults are available. I enjoy working with regional and rural clients across the district. I want to identify your specific needs, diagnose the problems and set you on a path to pain reduction, ideal mobility, or to get you back on track, feeling like your old self. Practicing in a range of fields from private practice to public hospitals, I have provided physio to surfers, cricketers, and rowers. Warren has been an active member of Pacific Palms Surf Club since 2007, treating clients from Port to Buladelah. At 208 Boomerang Drive, Pacific Palms in the Medical Centre. Beautiful beaches and awesome cafes within walking distance. Lets identify your issue, working with your GP and radiologist, to build a partnership where you learn about your body. Please feel free to leave a message at any time! Need a stick or a walker? Need therapy and exercises after an operation or broken bone? I started chatting to Warren on patrol one day. He gave me heaps of helpful advice and strapped my knee to trial sports tape. I pushed on with my daily running and then came to see him at the clinic. After two weeks I had significantly less pain. Then we went to the Palms gym to work out a training schedule and stretch/strength program. Learned heaps, 1:1 training, Oarsome! I met Warren in the Boomerang carpark. I had dislocated my shoulder surfing. He referred me to the Emergency room and they got it back in. Two days later I visited him at the clinic and he gave me heaps of helpful advice and fixed my sling. I finally got a full night’s sleep. After 6 weeks of ultrasound, massage and progressive exercises, I started to paddle and saw Woz out in the surf – 8 weeks, stoked! I even gave him a wave. Thanks Woz you’re a lifesaver. I have reconsidered my opinion of what a physio can do. My chronic lower back pain was recently diagnosed as due to arthritis in my lower spine. I was reluctant to take drugs to deal with it and was referred to Warren for physiotherapy. After only two visits there was a noticeable improvement, and after half a dozen more visits the pain has receded to just an occasional stiffness. My posture had deteriorated due to dealing with the original pain and Warren suggested that I attend a local Over 50’s and Active weekly class. The improvement in my posture, balance and well being is amazing. All due to Pacific Palms Physio. Ready to train and get fit?